Your roof is in a constant year round battle against Mother Nature and she will always eventually win! It's never a question of "will I need a new roof?" but a question of "when will I need a new roof?" The best way to postpone the inevitable is by yearly care and maintenance to your existing roof! During months of heavy rain or snow and ice the integrity of your roof can start to fade. If ignored or not properly repaired small leaks can lead to big problems and costly repairs. Even with proper care and maintenance all roofs will one day need to be replaced. When that day arrives Kruger Roofing will be there if you call us. 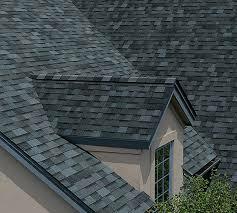 We have the professionals and equipment to install any roofing system on any type of roof. We've been doing it the "CORRECT WAY" now for more than 30 years! NO LEAK WARRANTIES (labor & material) ON ALL OUR NEW RESIDENTIAL ROOFS!